Ellen's Blog, Professional Organizing for Kingwood & Houston - Page 72 of 74 - Organizing Houston One Family at a Time! So how to accomplish this daunting task? Here are several suggestions to make this a simple part of your everyday family life. Be sure family members can be home together to have dinner. Making dinner a priority means some thing else may not be a part of your week. Include grocery shopping (and possibly coupon clipping) in your calendar in order to prepare dinner. Include your family team in meal planning and preparation. During a family meeting, have family members request their favorites and make a list. Family members can partner to make meals and clean up after meals. With your chores chart, assign a night to the pairs. If starting dinner is a sticking point, make it a standard operating procedure for whoever comes in the door first starts dinner. Families look forward to dinner and the yummy foods. With your family list create a 3 week rotation of easy to prepare meals. Recycle your 3 week rotations in a notebook to reuse later in the year. Post the weekly or 3 week rotation on the refrigerator so your family knows the plan and chats about the yummy treats coming up. Keep It Simple Sweetie applies to family dinner. It is about gathering together, not culinary creativity. Sandwiches, breakfast food, and crock pot dinners are all great ways to get dinner done. Affordable healthy take out from fast food restaurants can be a part of the plan too. Family traditions start with dinner time. Friday night can be frozen pizza night, Sunday is Dad’s Grill Day and Wednesday night might be Breakfast for Dinner night. Our kids remember these times! Your pantry should be the go to spot for those crazy nights when everyone is running late. Include pasta, bottled speghetti sauce, tuna and other staples that can be turned into dinner in 30 minutes. Recently I read about a family who dedicates Sunday to going to the park each Sunday in the summer. Dad grills burgers, chicken and other dinner meats for the week, while Mom relaxes and the kids play games. On a weekend, double recipes and freeze half. Cook an entree that can be used in two different dishes, such as taco meat for burritos and later in the week taco salad. And here are a few other resources too! What is your favorite way to get dinner done? Shopping for school supplies is creating a boost for our economy! Choose where to shop first based on your most expensive item. If you need new backpacks for the kiddos, shop first at the store where these are most on sale. Don’t forget our sales tax free weekend on August 21 – 23! Its a little late but a great date! Some outstanding websites to help you save for school supplies! Whether it is your home office, your small business office or your corporate office, getting down to business at your desk is a chore if it is piled with papers! Establishing a comfortable area for paper work and other office activities is important for productivity. As you begin, determine what tasks you are doing in your office and the tools needed for these tasks. By making these decisions at the outset, you are preparing your space for accomplishment. Create areas designating the best access for most frequent activities. As for room arrangement, place your desk in a position that allows maximum use of natural light. Position the desk in a direct ion that allows for direct viewing of all who enter without you having to turn. Arrange for the placement of frequently used files to be placed in the desk’s file drawer. Less frequently accessed files can be placed in a separate filing cabinet. As for filing cabinets, use a low-lying, two-drawer cabinet that can be placed next to or near your desk for the added use of its top for other items that you often need. Your filing system should be simple easy and manageable. Create categories in your files for the different major work/home areas. For work it may be clients, administrative, financial. For home it may be home/auto, personal, and financial. Use general key words that come to mind quickly, and sub categorize as needed. An example would be Car – insurance, Car – maintenance, or Insurance – Car, Insurance – Home. Think about how YOU think about the paper to find it. Color-coding your files makes it faster to find information. Use one color hanging file to easily slip information into a file. Label the file with a tab using a label maker! Decide when papers go into an archive area. These are papers you seldom access, but need to keep. Arrange for storage in the least accessible drawer, in a file box in the top of a closet, or at an auxiliary location. Maximize your space to maximize productivity! A clear desk makes it easy to sit down and get started on your work. As my kids grew up, I always appreciated tips from other moms who had kids in the same stages as mine or even a heads up about what is coming up. My daughter is in the middle of the terrible two’s phase. Here are some of her success tips. Consistency is most important for parenting a toddler. Have a plan and don’t waiver, regardless of continual whining, continual negotiation and even if it seems easier to give in. To be consistent, you must first know what is important to you. Being respectful, having good manners, eating properly and taking care of toys are top priorities. Routines are important for every day organizing. Schedule pick up time regularly in intervals before the next activity. No one is overwhelmed and your home stays orderly. Five minute “heads up” prepares your toddler for what is coming next. “Five minutes until we put away toys.” The transition time helps them know what is next and get ready. Morning and evening routines emphasize the order of life too! In the morning we get up, go potty, brush teeth, get dressed, eat breakfast, and get ready for “school”. Every afternoon nap time takes place between 12 and 1. Routines make our lives smooth and tranquil. Potty training is a big step for toddlers. A great resource is Potty Training in Less than a Day by Nathan Azrin and Richard Foxx. It really works! Be sure to follow exactly what it says. Time out is viewed as a time to reflect and refocus. This is coupled with the beginnings of character training and communication. We stress apologizing, stating what he did, saying he was sorry, and ending with a hug and a kiss. My great joy at being a mom is watching my daughter be a great mom! As an organizer, it is important to me to to prioritize. And nothing is more of a priority to me than my family and relationships. Last year, I started having Gigi Day with my grandkids. Why Gigi Day? I am called Gigi by my grandkids and 2 of them live nearby. Every Friday I spend the day having fun with them. What do we do? It can be as simple as a trip to the park, the zoo or Children’s Museum. Some time it is playing hide and seek. It is my way of spending time with them every week just to be a part of their everyday lives. Each summer my other grandchild comes to visit for several weeks and it is our time to spend with him. As a far away grandparent, we are thrilled to have him play with his big wheel on the driveway, color or play with trucks. This is time that is priceless, super valuable and incredibly important! These times are my small but important ways to do what is most valuable to me. The greatest gift is time spent together, not the stuff you can buy. Think about what your family shares. How do you spend time together? Do you have family dinner and time to have fun? Listed here are some Houston links for family fun. What family fun are you sharing this week? With our economy, coupons are an important way to make the most of your budget. Organizing your coupons can take a few extra minutes, but the reward is incredible. My clients feel very empowered by using coupons and it is their way of making their budgets really work for them. An easy ways to start couponing is to check out the local sites of your grocery stores. These sites have online digital coupons for you to use. You can easily load these onto your existing store card or print coupons to bring with you. Choose coupons for items you use regularly from the store you shop at regularly. A major bonus (like hitting the lottery!) is to pair a coupon with a product already on sale. Stores like CVS and Walgreens offer bonus bucks and coupons can be used with them. Keep coupons where you can use them most. A small accordion file in your car can keep store coupons, like Bed Bath and Beyond or Chilis. These can be categorized by your personal categories, such as food, clothes, etc. or by expiration date, or whatever works for you. Clipping the weekly coupons from the Sunday Paper starts in your living room with clipping, then attaching to your grocery list, and then bringing these to the car. Decide on a routine that works for you. Most important is to keep what you use and to use it before it expires. Smead provided me with this Tag Along Organizer, perfect for keeping your coupons organized! It has 5 pockets, easily labeled for grocery aisles. It is small enough to fit in your purse! Here are a few more online ways to get great coupons! My thanks to client Pam and her niece Stacy for sharing these with me! Your car is your office on the go and your home away from home! Whether you are a professional going to work or a busy mom or dad carpooling, having an organized vehicle can make the difference in your travels. Organizing your car just takes a few extra minutes! If you car is your mobile office, organize for stocking, storing and traveling with business tools. Carry some basic desk items such as business cards, calculator, stapler, scissors and tape in a zipper case or small tackle box. Store files in a hanging file case with a cover. Be sure to have a notebook and pen in your car for taking notes. For kids on the go, being organized makes every trip less demanding. With access for your back seat travelers, you can place an organizer in the back seat or over the seat with a place for a water bottles, electronic games and books. For kids’ toys and more, there is the Clear away car organizer from OnlineOrganizer.com. For maps, snacks and more, look into the Case Logic Back Seat Organizer from stackandstacks.com. For movies and technology, look at the High Road Entertainment Organizer from www.thebusywoman.com. These organizing products make travel easier for everyone! Every day items require storage too. The Creekside Cargo Mini from www.drivewerks.com keeps all sorts of items from milk to soccer balls from rolling around your trunk. For tools, purchase a durable canvas bag to contain all the tools including jumper cables. For compact disks, visor storage is a convenient, easy to access spot. What about trash? A pop up trash can made of durable mesh can fit by the driver’s seat. What about paper? The glove compartment or center console is a great spot for this! Use a check organizer and group the papers by category, such as maps and directions, insurance, warranty/instructions and emergency phone numbers. Be sure to label each pocket for easy retrieval. Finally, keeping your car organized requires maintenance routines. Each stop along the way and each evening empty the trash from your car. Restock the items for your business on a weekly basis. Remind family members to replace items in the storage spots. Be vigilant about your registration sticker and make a note on your calendar when to renew this. Emptying the car is more than stuffing a bag and dropping it in your garage. Finish your routine by putting the items in the trash or in their place inside your home. What will work for you to keep your car organized? We think we need days to declutter and we only have a few hours. Make the most of your decluttering time with planning, focus and decision making. Arranging your schedule with decluttering as a priority creates success. With your kids secure and cared for, don’t answer the phone, check email or get distracted with details. Your goal in this 2 hours is to find and eliminate items! Schedule Salvation Army or other trucks to pick up from your door the next day. If you are planning a garage sale or online sale, set a date on your calendar. You now have a deadline and accountability! Start with the most frustrating space first. Get boxes for donation items, sale items, distribution items (things that go in another room) and garbage items. Set a timer and get going! Here is the most important aspect – good decision making. Be ruthless with items you no longer use. If it has become a burden to care for it, purge it. If it is broken, you can can list it on www.freecyle.org. Especially in your closet, keep only what makes you look and feel fabulous! Be clear on your vision of what the space will look like when you are done. What does success look and feel like to you? Do you feel lighter? Is there less to care for? Do you see clarity in your space? Share with me your decluttering strategy and your success! Perfectionism and procrastination sound like opposites but are they really? Do you set incredibly high standards for a project including lots of planning and then don’t get started because it won’t be completed to your satisfaction? Do you put off a project, thinking you will have more time or energy to do it later? More often than you think, perfectionism can be immobilizing you. Standards of excellence instead of perfection make a difference in starting and completing a project. Whether organizing a space or any other task, start with baby steps and practice your imperfection. Work at a comfortable pace, allow for changes as needed and review your work consistently. When others offer to assist, welcome their help and disregard their imperfections as they help you complete a project. What baby step can you take to breaking down your perfectionism? 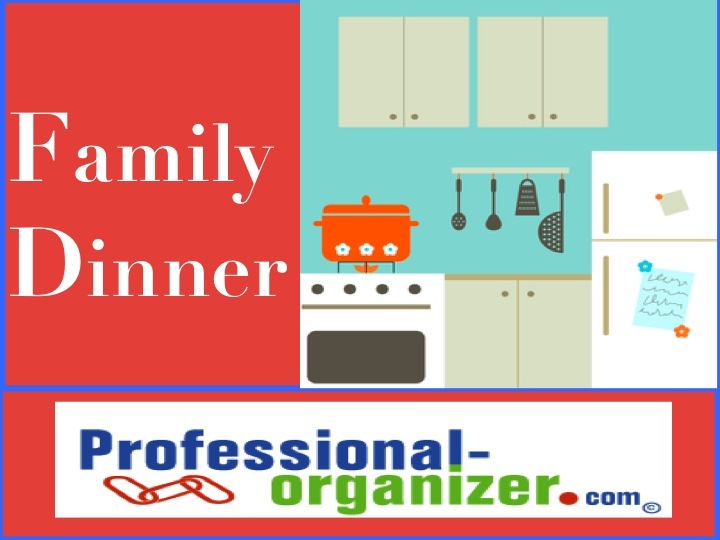 https://professional-organizer.com/WordPress/wp-content/uploads/2016/07/logo.png 0 0 Ellen https://professional-organizer.com/WordPress/wp-content/uploads/2016/07/logo.png Ellen2009-07-06 05:21:342009-08-08 09:59:04Done is Perfect! Pool time is my favorite kid and grandkid activity! In the pool families interact on a totally fun, non judgemental, no standards arena. It is all about safe, “clean” fun! Everyone gets time to be together, share the space and get a healthy dose of vitamin D too. Being active promotes a healthy lifestyle, encourages a life long love of activity, and bonds you as a family. Outside time is an aspect that nurtures me, creates clarity in my life and is a priority for me. I want to share this with my family. What are you doing to go outside and play?